What an awesome setting for a colourful spring Mad Hatters Breakfast. Thanks to Sarita and Allison from Benvenuto for inviting me to display my cupcakes again. I had fun once again chatting to other exhibitors and breakfast guests. 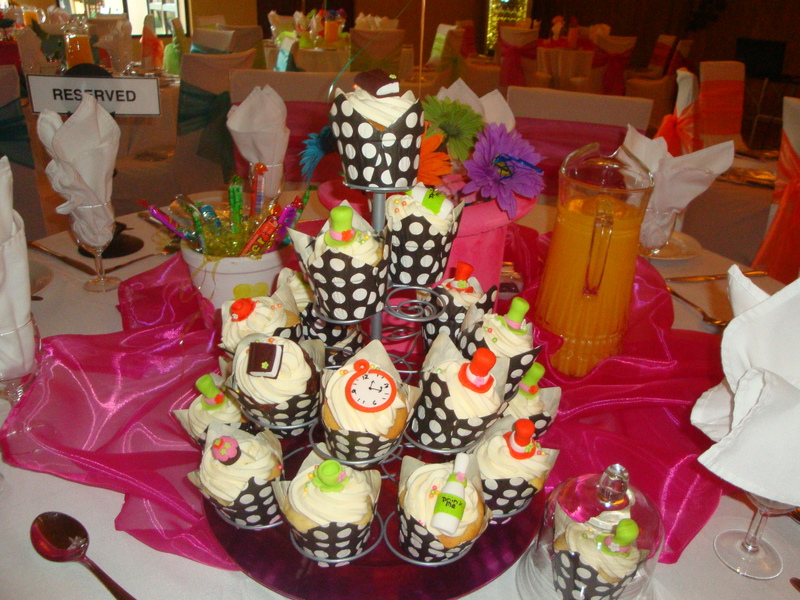 I photographed my cupcakes on one of Belinda’s brilliantly decorated tables. 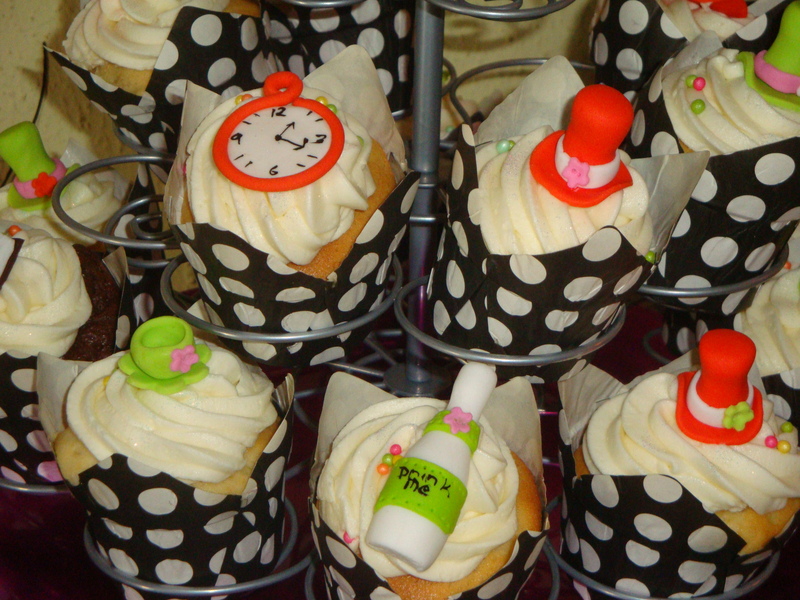 I made Mad Hatters Cupcakes in bright orange, green and pink to match the theme of the morning. Go Mad for these Cupcakes! Stunning setting …. thanks for saving me one – I put it in the fridge when I got home and unfortunately Byron and Wessel found it later and shared it! They loved it. Good to hear that the cupcake was devoured. I’ll have to make you your own special one that you can hide from them.